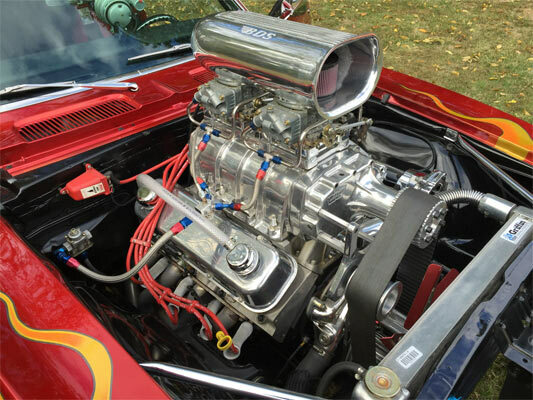 Engine: Big Block Chevy ZZ-502 ci. It’s amazing how age changes you. I wouldn’t have thought twice about a car that had flames as a paint job in the past, but now I think if you have a car that is loud and proud, why not go all the way! 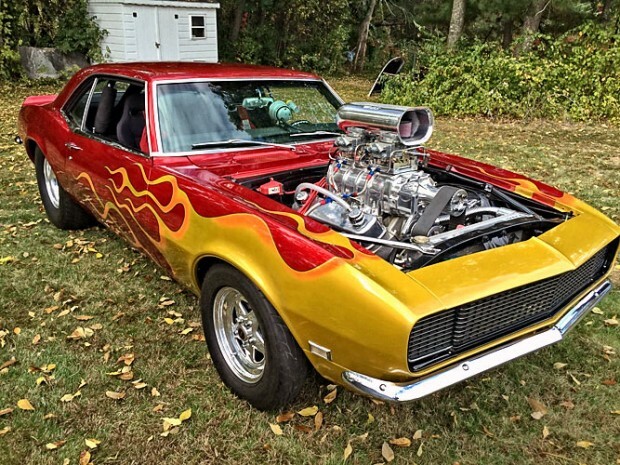 This coupled with a huge supercharger make this Camaro louder than a Grateful Dead concert in its heyday. You get a modified car from its engine to interior, which means a lot of work has gone into this vehicle, meaning the asking price is not so bad considering the work being performed on the car. The ad. says, ‘if you want a real nice wild hot rod then this is for you,’ this basically sums up this mighty looking Camaro. 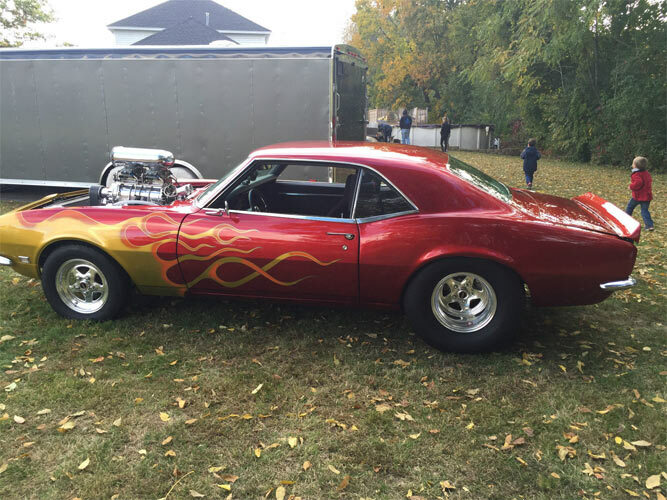 Related Items1968 Chevrolet Camaro RS Pro Street FireBreather! ← Previous Story Pick Of The Day: 1971 Plymouth Barracuda, 1 of 48. Killer off a muscle car.. Nice !!!!!! !